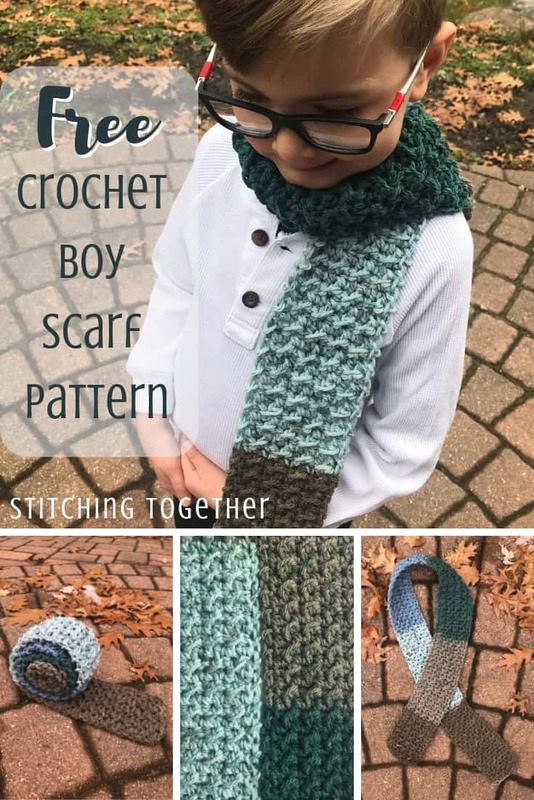 You’ve come to the right place to find a crochet boy scarf pattern which will please even the pickiest of little dudes. 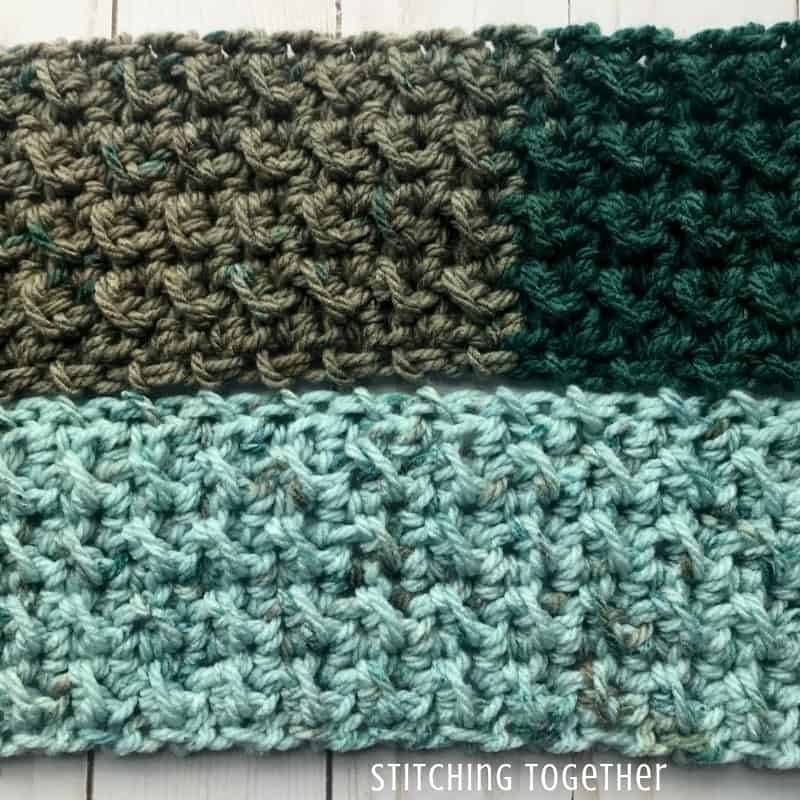 In each row you alternate a slip stitch with a half double crochet, which is easy enough. The fun part comes in the next rows where you half double crochet into the slip stitches in the row before and slip stitch into the hdcs of the row before. Alternating stitches this way accentuates that strange 3rd loop of the hdc and gives you a beautifully textured and dense fabric. Wait until you see the crunch stitch worked diagonally in the round, like In the matching Over the Ridge Boy Hat! It is beautiful! The yarn is a bit stiff, which is great for a hat (stay tuned for that pattern) but a little suffocating around the neck. Using a larger than normal hook size allows for the scarf to have better drape while maintaining that gorgeous texture. The biggest downside to this yarn: It is a Michael’s exclusive. If you don’t live near a Michael’s hopefully you live somewhere they can ship! 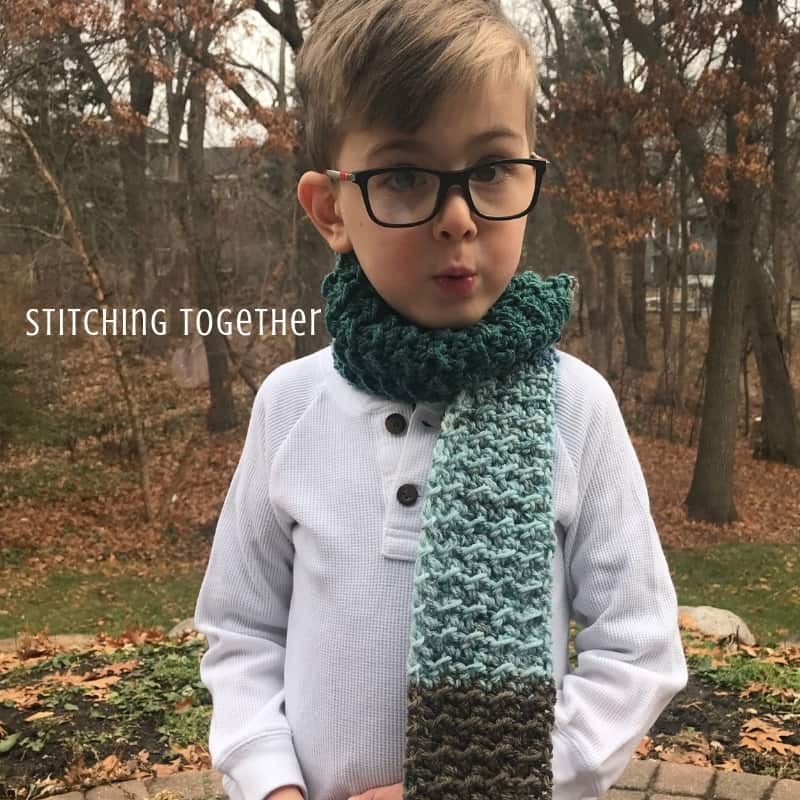 Other bulky yarns will work for this pattern, but it is lovely to only need one Chunky Cupcake and to not have to worry about weaving in ends if you want a multicolored scarf. 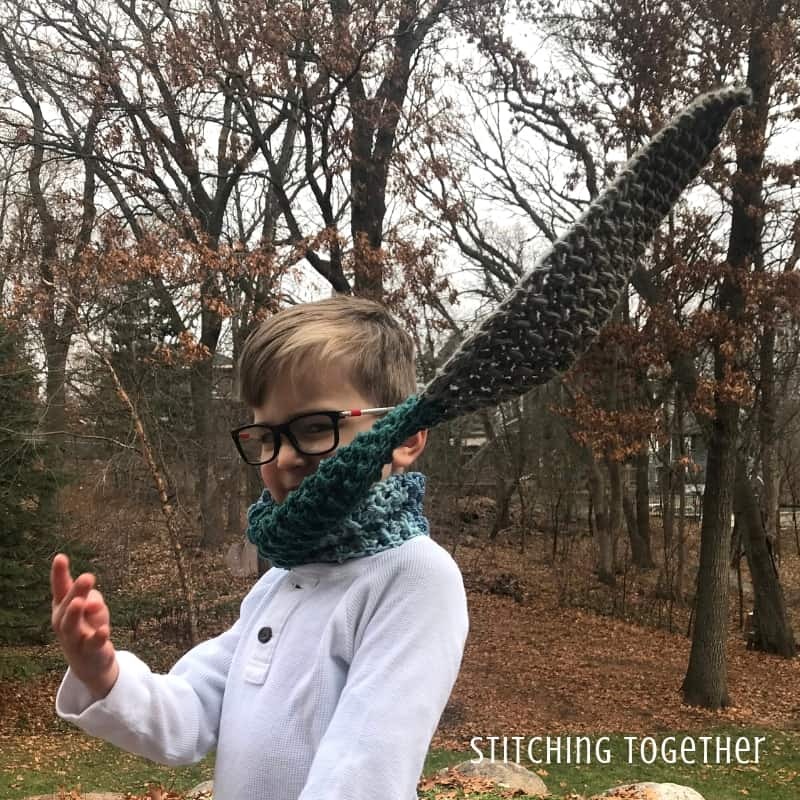 Before we get the the pattern, save it on Pinterest! 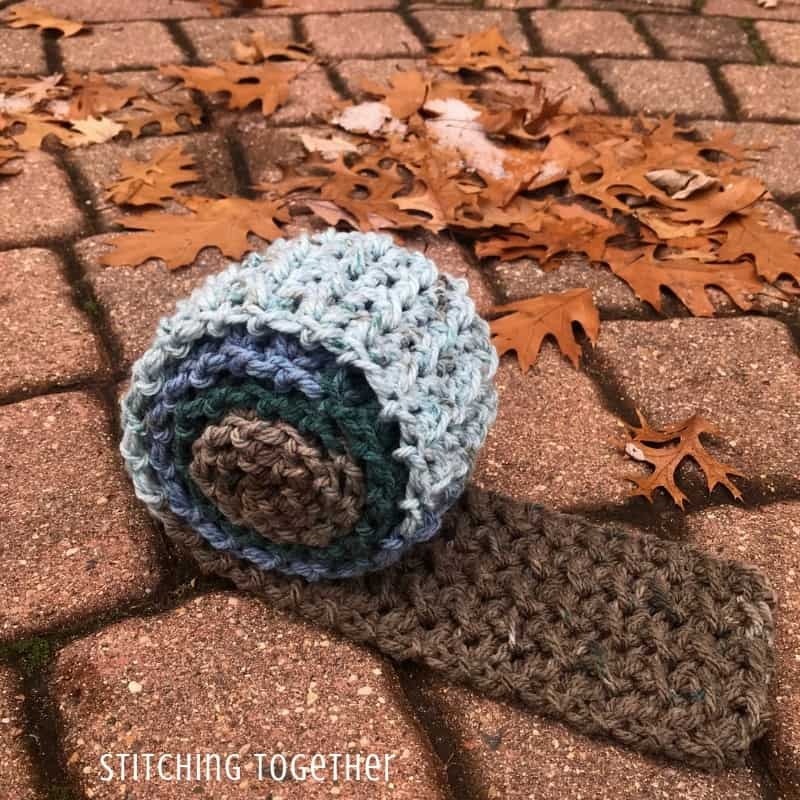 Even though you are using a large hook, you’ll still want to crochet loosely especially for slip stitches. 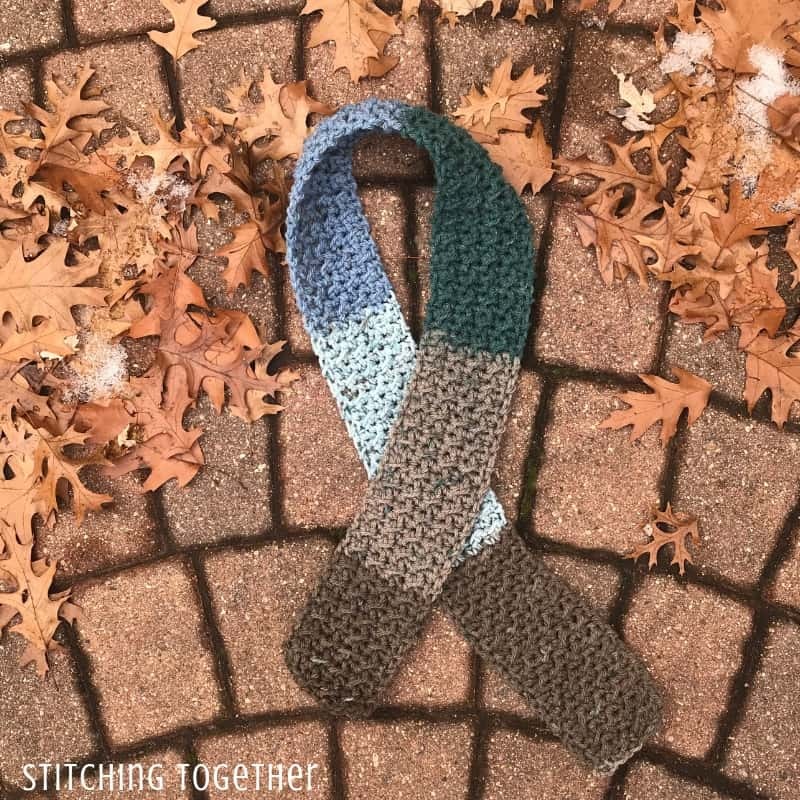 See the crochet Crunch Stitch Tutorial for step by step instructions and pictures on how to do the stitch used in this scarf. R2: ch 2 (counts as your first hdc), sk 1 st, *sl st into next hdc in the row below, hdc into next sl st in the row below, repeat from * ending with a sl st in the top of the turning tc. Repeat row 2 until you’ve finished the cake – around 140 rows. Fasten off and weave in ends. Ready to get started? 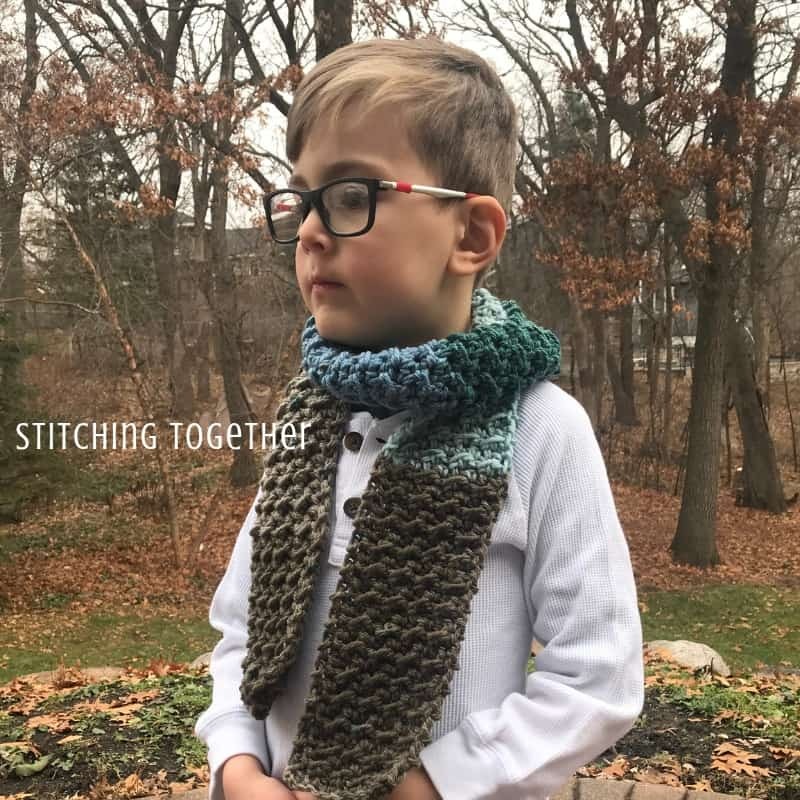 Grab your supplies now to make a Crochet Boy Scarf! I would like to make this for an adult man. How do I adjust for size? Beautiful scarf! Hi Natalie – you’ll want to make it wider by adding to the starting chain. Keep it a multiple of 2 + 1. The yarn you use will determine how many stitches you’ll need and I’d shoot for at least 6″ wide. Have fun making it!